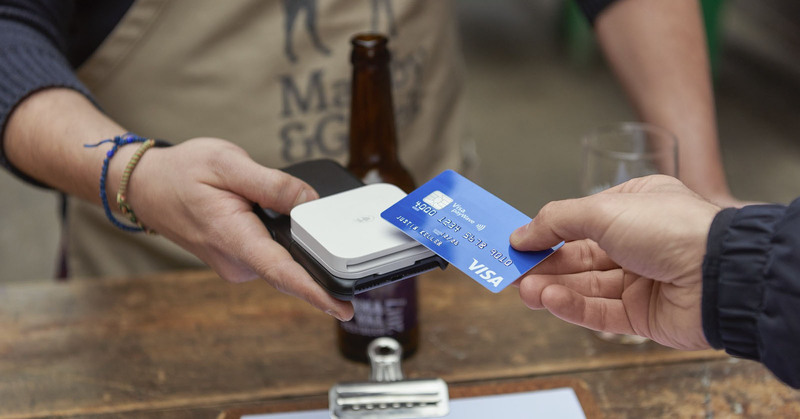 You may have heard of the government’s latest plans to ban surcharges on credit and debit card payments - great news for consumers who will no longer have to cough up that little bit extra for the convenience of paying by card - but what does this mean for you and your small business? As a small business, you are probably well aware that extra surcharges sometimes need to be added to a customer bill to help you cover processing costs. Having a payment system that is clear and fair in its pricing (like Square) will help you keep track of your outgoings and understand the fees you’re paying. As of January 2018, businesses will be banned from charging their customers extra for paying by credit or debit card. With the worst offenders like airlines adding as much as 2% to any final bill paid by card, these small changes result in a big difference in overall consumer spending. In 2010 alone £473 million was spent on card surcharges. The ban will stop any business from placing an extra charge on bills paid for with debit or credit card, including The Driver and Licensing Agency and Her Majesty’s Revenue and Customs, both of which currently demand customers pay extra to settle a payment by card. In short, the ban will stop customers being penalised for choosing to pay in the way that is most convenient to them, although some experts fear that companies will still gain these extra pennies by raising the prices of individual products instead. For big businesses, it’s expected, and even advised, that headline costs will be hiked up to cover processing costs in a more indirect way, though for the most part, large companies will be able to absorb the costs far better than their small counterparts. With banks generally charging small businesses higher rates, if small companies must start to absorb these costs themselves, it can have a catastrophic effect on their profit margins. Small businesses are concerned that the ban will completely stop them from being able to accept more expensive cards – in other words, this ban is a direct block on what could be hundreds of pounds of potential sales to a small business. Avoid some of the negative impact these changes can have on your business by choosing a card payment system that doesn’t leave you to deal with the different charges demanded by each card. Square charges you the same fee for every card, whether it’s contactless, chip and PIN or via a digital wallet like Apple Pay or Android Pay. If your customer wants to pay, we let them, and all for only 1.75% per in-person payment or 2.5% for card not present payments. So don’t let this change spell the end of your ability accept card, or have to turn away any payment. With Square, you can continue to enjoy the same great rates of payment processing and relax knowing you’ll get your money as soon as the next working day, so you know how much your business is spending on card processing and can adjust your prices accordingly. So prepare for the ban by equipping your business with a reader and payment system that will keep you and your customers happy through the changes.